What should I know? What should I do? Utah has high earthquake risk. Geologic research has shown that Utah has high risk of devastating earthquakes (Utah Geological Survey and U.S. Geological Survey data). Temuco, Chile, 2010. Crushed car. Photo by Pablo Trincado from Flicker Creative Commons. Earthquakes aren’t predictable. Scientists cannot predict when a large earthquake will happen, but they have learned much about Utah’s active geologic faults—strong evidence indicates that a destructive earthquake will happen soon. Many dangerous faults. The Wasatch fault is Utah’s most active fault, but Utah has as many as 200 other faults that could produce destructive earthquakes. We DO have large earthquakes. Some people think that Utah does not have large earthquakes because they haven’t personally experienced one. Actually, Utah has had 17 damaging earthquakes in historic times, including one at magnitude 6.6 that would have caused extensive devastation if it had occurred in a populated area. Western Utah is part of the Intermountain Seismic Belt and the Basin and Range Province—in the last century this region has had 4 major earthquakes over magnitude 7.0, 17 over 6.0, and hundreds over 5.0. Four of these resulted in deaths even though they were in very sparsely populated areas (U.S. Geological Survey data). Sooner or later one of these major earthquakes will strike one of Utah’s populated areas with devastating results. Widespread, violent shaking will occur. In a major earthquake violent shaking will impact a large area. For example, an earthquake on the Salt Lake City segment of the Wasatch fault will likely cause violent shaking in the entire Salt Lake Valley and severe shaking from Ogden to Provo. See video simulation of 7.0 magnitude earthquake in Salt Lake valley. Thousands of deaths and injuries. Federal Emergency Management Agency (FEMA) and Utah Comprehensive Emergency Management Agency (UCEM) models show that a major earthquake on the central Wasatch fault will likely cause thousands to over ten thousand deaths and life-threatening injuries, and tens of thousands of serious injuries. A major earthquake on many other Utah faults could cause tens to thousands of deaths and injuries. Earthquakes don’t kill people; buildings kill people. In nearly all recent “killer” earthquakes around the world, most deaths were caused by collapse of buildings (excluding tsunamis in coastal areas); the average person spends 87% of his/her time indoors. URMs are dangerous. Quality of construction of the building a person is occupying is the single biggest factor that will determine whether that person is injured or killed in an earthquake. 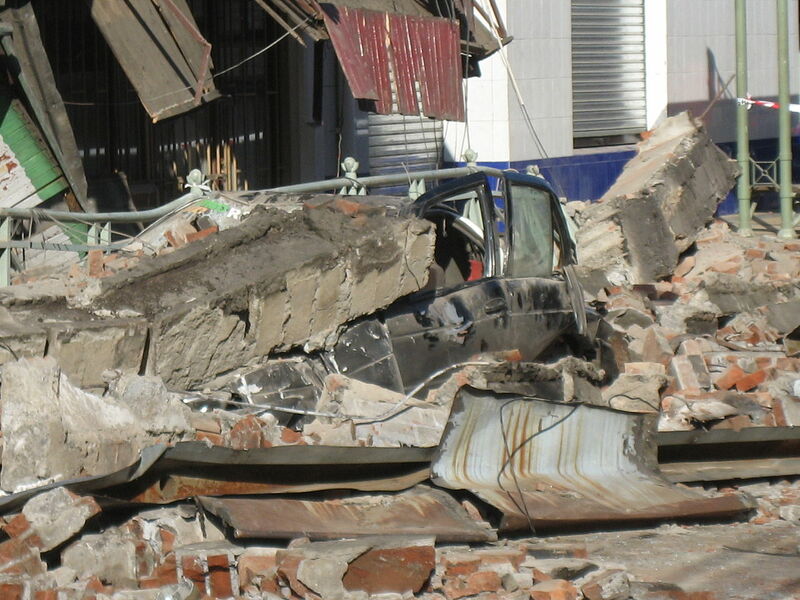 Engineering studies and data from past earthquakes show that most earthquake-related deaths and serious injuries occur in unreinforced masonry buildings (URMs). URMs are buildings constructed with stone-like materials (brick, stone, cinder block, etc.) that were not built with enough steel or wood reinforcement to prevent life-threatening damage or collapse during an earthquake. Houses, apartments, businesses, schools, and other buildings can all be classified as URMs. Utah has over 200,000 URMs—about one in every five buildings. In Utah, most unreinforced masonry buildings were built before about 1980. It is estimated that about 25% of Utah’s population live in, work in, go to school in, or frequently enter URMs. In comparison, California only has about 25,000 URMs—this means that even though California has a much larger population and more frequent earthquakes, Utah may actually have a higher risk of death and serious injury from a 6.0 to 7.5 magnitude earthquake. In Utah’s next major earthquake, damage and/or collapse of unreinforced masonry buildings (URMs) will likely cause over 90% of deaths and life-threatening injuries. Most deaths and injuries are preventable. Most of these deaths and injuries can be prevented; but the first steps must be taken by the individual owners, renters, and occupiers of buildings. No URM disclosure laws. The government can’t/won’t protect you. Utah does not require owners to disclose that buildings are URMs, or to retrofit URMs unless they are doing a major remodeling or reroofing project; the responsibility falls on the renter or buyer to determine if a building has been properly retrofitted.